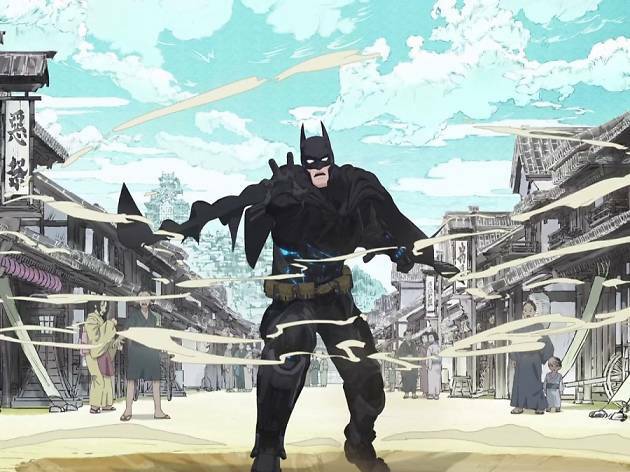 ‘Batman Ninja’ is an animated feature-length Batman movie coming to Japanese cinemas on June 15. This is one of the most hotly anticipated comic book adaptations of late, but if you were wondering why, here is a quick refresher on why fans are so excited. 1. 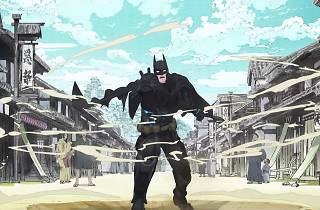 ‘Batman Ninja’ sees the saviour of Gotham City get sent back in time to feudal Japan. This juxtaposition of a futuristic crimefighter and this rich, iconic period of Japanese history looks set to create some unforgettable action scenes. 2. The trailer sent shockwaves through the international comic book community and was hailed by comic book fans worldwide for its visually arresting, brazen comic book atmosphere. 3. The caped crusader’s latest escape is brought to you by a team of anime’s most talented minds. Director Jinpei Misuzaki was a producer on the ‘JoJo’s Bizarre Adventure’ anime series, while Takashi Okazaki, who’s responsible for the character design, is famed for his work on the hit anime ‘Afro Samurai’. Screenwriter Kazuki Nakashima was a writer on the rather surreal but nonetheless revered action anime show ‘Kill La Kill’. 4. The film has already been released in America, however it received drastic revisions to the script, resulting in two vastly different versions of the film. The writers (on the American release) Leo Chu and Eric Garcia felt that the original script (by Kazuki Nakashima) required major localisation in order to make for a more successful American release. 5. The Japanese cinematic release is likely to rely more heavily on visual storytelling as it’s rumoured that the original script is only like six pages long. While for some cinemagoers this may be a negative thing, in a way it’s a much more comic-book-esque presentation of Batman, where the action and imagery take centre stage. 6. Die-hard anime fans may recognize several voice actors in the Japanese version. Kōichi 'Yama-chan’ Yamadera who plays Batman was Spike Spiegel in ‘Cowboy Bebop’. Wataru Takagi who plays The Joker was the voice of Eikichi Onizuka in ‘Great Teacher Onizuka’. 7. In 1966, the Adam West ‘Batman’ television series aired in Japan and Bat-fever gripped the nation. This prompted the legendary manga company Shōnen Gahōsha to secure the rights to publishing their own Batman stories with the full consent of DC Comics. 8. Japan’s love for Batman has continued ever since. In 2014, a video of a hero calling himself ‘Chibatman’ took the world by storm. The man, seemingly a welder by day and hero by night, began his heroic cosplay in a bid to cheer people up after 2011 Tohoku earthquake. Driving a custom 3-wheel ‘Chibatpod’, he patrols Chiba prefecture, inspiring children and bringing smiles to the local residents. 9. Several Japanese authors have written Batman stories before, Kia Asamiya’s ‘Batman: Child of Dreams’ and Yoshinori Natsume’s ‘Batman: Death Mask’ being two very popular examples. 10. With a speedy runtime of 85 minutes, ‘Batman Ninja’ is said to be one of the most breakneck-paced, thrill-a-minute Batman adventures in a long time, so if you were a fan of the comics, or love action-packed anime, it’s definitely a film worth going to the cinema for. 'Batman Ninja' opens in Tokyo on Friday, June 15. Photos: BATMAN and all related characters and elements © & ™ DC Comics; © 2018 Warner Bros. Entertainment; All rights reserved.